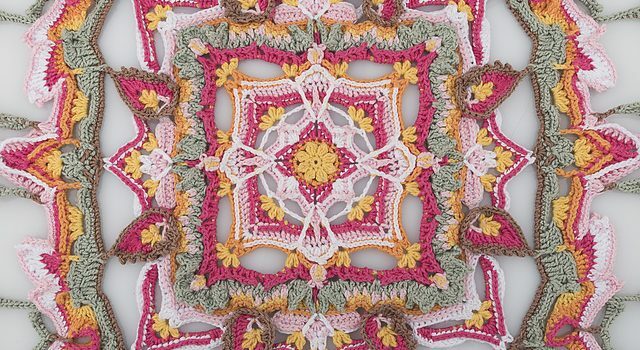 This is such a wonderful squared blanket crochet pattern and a real showstopper! The details are simply spectacular! The unique and colorful crochet square by Kela Ahnhem has been specifically designed for The Butterfly Effect CAL 2019. The Call is divided into 10 parts and runs for as many weeks. The free pattern and video tutorials will be released every Friday on SistersInStitch website. Yarn kits for the Butterfly Effect CAL 2019 is available in 2 different sizes, using 2 different types of yarns. By choosing Yarn and Colors Must-have or Epic you’ll be making the smaller (110×110 cm) respectively larger (160×160 cm) versioned blanket. 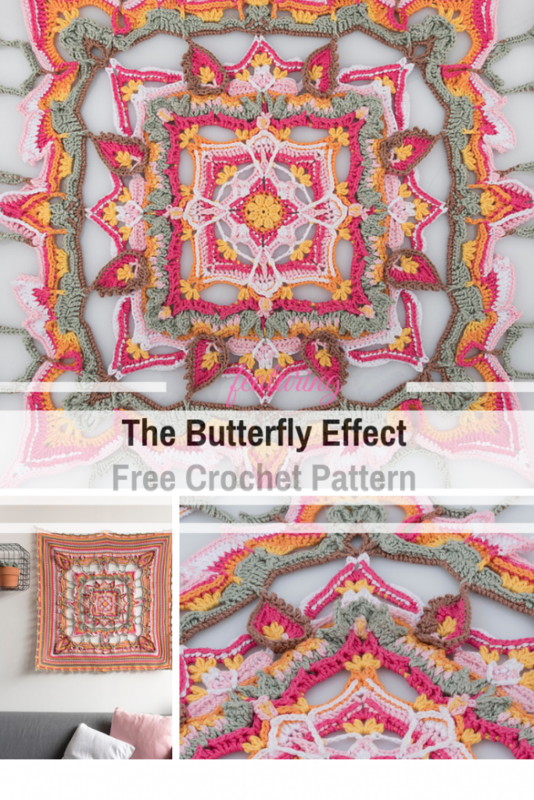 Get the pattern: The Butterfly Effect Squared Blanket Free Crochet Pattern. Thanks to Kela Ahnhem for the article inspiration and featured image.